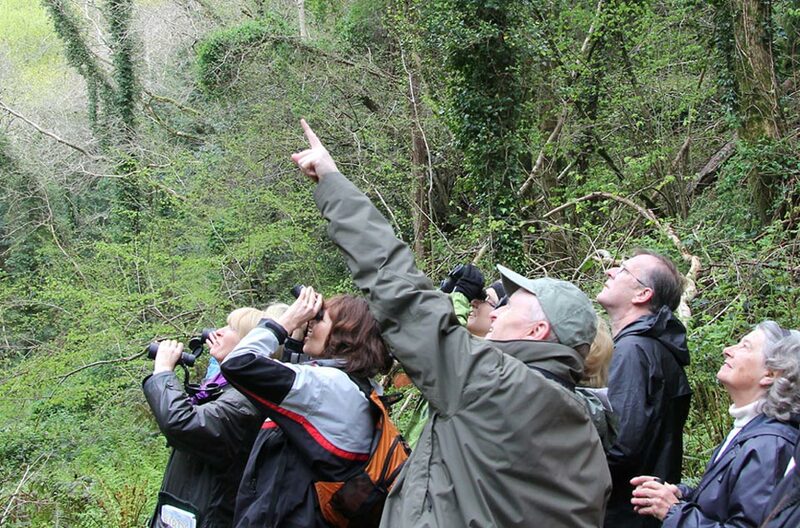 Whether you live in Ireland or are visiting Ireland for holidays or for business, there is no better way to discover our wonderful bird life than by going on a personalised birding trip with me, Eric ‘the Birdman’ Dempsey, Ireland’s leading bird expert. I provide a one-to-one guiding service or can cater for small groups of up to four. I can also guide larger groups on request and can be hired from just a half day to a whole week…whatever suits you! Ireland’s eastern and south-eastern coastal counties are recognised as being among some of the best birding destinations in Europe. From breeding seabird and tern colonies in summer to the huge flocks of shorebirds and wildfowl in winter, these rich areas have so much to offer the visiting or resident birder throughout the whole year. I am now living near the wonderful coastal wetlands of Wicklow, the Garden of Ireland and offer guided birding tours stretching from the coastal beaches of south Meath, to the estuaries and breeding seabird cliffs of Dublin, from the woodlands of Wicklow to the rich wetlands and coasts of Wexford….and everywhere in between! I know how and where to find the birds which allows you to simply relax and savour those magical birding moments. Whether you are a total beginner or a big ‘world lister’ I will design a birding itinerary to suit your needs. I will go at a pace to suit you and will work very hard to show you as many birds in as many different habitats that Ireland has to offer. If you have a target list of birds to see, or if there is simply a bird that you’ve always wished to see, I will create the day around those birds. I am also one of Ireland’s best-known bird photographers (check out my photos here) and an author of the best-selling Ireland’s Wildlife Year – a photographic journey of Ireland’s changing seasons. If you are a photographer, I can design a photographic safari offering some of the best opportunities to capture images of Ireland’s natural wonders. On my photographic safaris, please remember that the bird’s welfare always comes first! Check out some of my photos in the galleries. I am the author of the best-selling ‘Finding Birds in Ireland’, The Complete Field Guide to Ireland’s Birds and Birdwatching in Ireland with Eric Dempsey, while my latest book, ‘Don’t Die in Autumn – A Memoir’, has just been published to critical acclaim. I have been birding seriously for over 40 years and my aim in life is to share Ireland’s wonderful birds and natural heritage with as many people as possible through my guiding, writing, speaking, broadcasting and my photography. Depending on where you are staying or living, I will either pick you up or meet you at a designated location at an agreed time. I will then bring you birding in a comfortable 4WD before bringing you back after a wonderful day of birding magic. If you are birding with me for more than one day, it might be worth considering basing yourself in our spacious and independent upstairs loft apartment. Not only will you enjoy the peaceful surroundings and wonderful birds, but it allows us more time to set off to the best birding sites each morning. I always carry a top class telescope so, if you wish to travel light, then a pair of binoculars are often ideal. The weather in Ireland varies greatly from day to day so I always suggest that you bring a warm jacket, a rainjacket, suncream (the sun does shine here some days) and comfortable walking shoes. The fees for guiding are based around whether it is a one-to-one personal birding day or whether there are two or more people on the outing. Please note that the above fees are excluding fuel expenses for each day and, if we are staying away, the costs of B&B and evening meals. Customised and group packages (maximum 15 people) can be agreed upon request. Simply fill in the enquiry form below with the date(s) you wish for me to guide you. If you have any special birds you want to see, please let me know when completing this form. It’s also useful for me to know if you have ever birded in Ireland or Europe previously. Once I receive this information, I’ll be in touch by email or phone to confirm my availability on your requested date(s). Once we’ve agreed the trip and date(s), I will send you a confirmation and an online payment link for a non-refundable 20% deposit (of the total agreed fee). The remaining non-refundable balance of the agreed fee is required at least 7 days before your trip/tour. 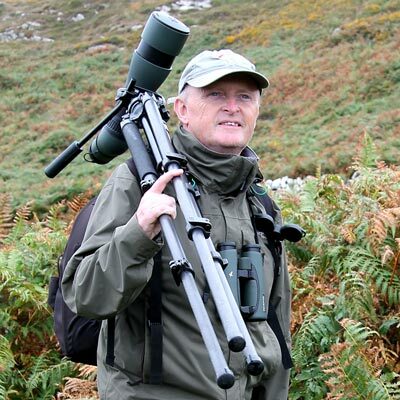 I have been a bird lover since I can remember and I also have a keen but amateur interest in photography so when the possibility arose to combine both in the company of Eric Dempsey, one of Ireland's leading experts and authors on Irish birds, then it was a no brainer for me. Eric provides a well of knowledge for any amateur, novice or aspiring bird expert in the field of bird photography. I found the day invaluable and most of all I got to meet one of my idols, Eric. Meeting people that you have a high regard for can sometimes be a big letdown but with Eric this was not the case. Yesterday surpassed my son's expectations. He had a most amazing day birding with Eric, spotting birds that he had only read about. Eric was terrific with my son…kind, patient, and encouraging. It was one of those truly memorable days and not just for the birders! In the busy world we live it, to spend time observing, absorbing, relaxing into the joy and beauty of nature is an absolute tonic for mental well being….put it high on your list of things to do. We are already planning our return visit! My son said it was the best day ever and I couldn't agree with him more. I've been leading or co-leading bird tours for BirdLife Austria for more than ten years and we booked Eric for one of our fall tours not too long ago. We were looking for seabirds and waders especially and we couldn't have chosen a better guide. Not only is he an expert in identifying these difficult groups of birds, but, and this is even more important with a group like ours, he is excellent company. He knew exactly when to visit which site to get the most out of our birdwatching time and went out of his way to make our trip an outstanding experience, and he succeeded on all counts. He is one of the few guides people regularly ask me about on other tours because of their fond memories of our time together. I cannot recommend his service highly enough. Try to get out in the field with him.